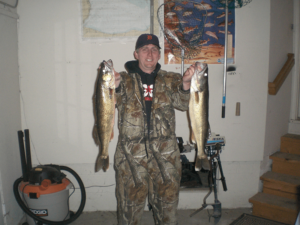 Spring is right around the corner and that means Walleye fishing trips are starting soon! 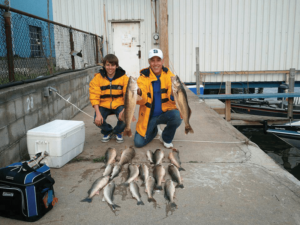 The Detroit River is known for having some of the best walleye fishing in the state, where many large numbers of fish are taken annually. 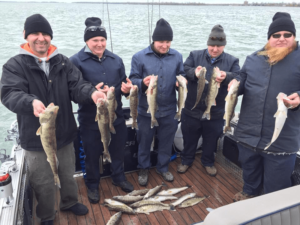 We kick off our walleye fishing season April 1st and continue through the first week in June, out of Libra Marina in Wyandotte. 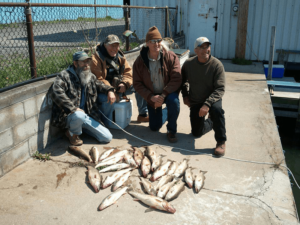 This is the time of the year when the walleye move into the river system for spawning. This past year we pulled out hundreds of walleye with many of them over 6 lbs. When fishing the Detroit River we will be vertical jigging. This method of fishing is very hands on and puts you right in the action. We will be using a large assortment of Jigs with various different weights. The use of medium action rods will give you the best chance of hooking and landing that fish. We recommend and use level wind reels for ultimate control when fishing for walleye. June through October. 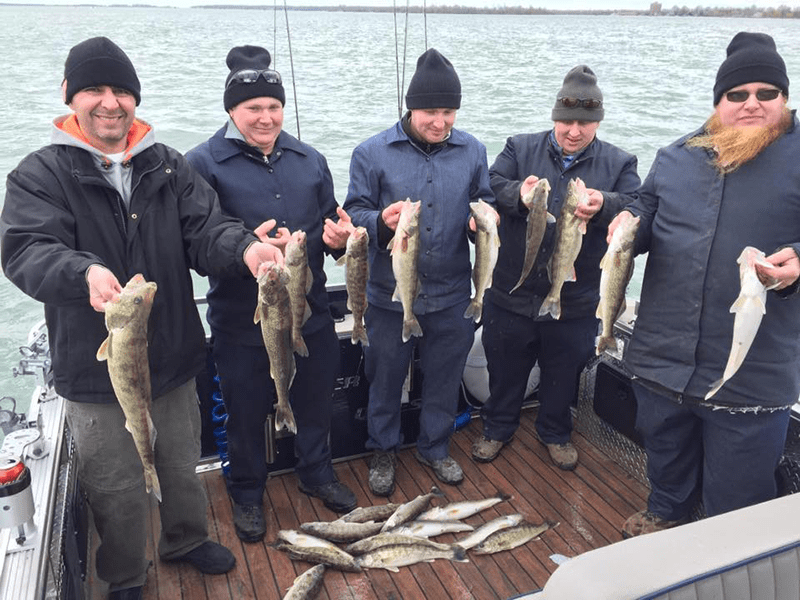 Call 586-260-0010 to reserve your Lake St. Clair Walleye trip today. From June thru the rest of the season (October) we fish for walleye on Lake St. Clair out of Anglers Point Marina. As your Captain I will filet and bag up the days catch for you. * All Walleye fishing trips are for up to four (4) people. ** Add a fifth or sixth person to any fishing trip for only $100. All bookings require a deposit to reserve your day on the lake with us. If the trip is canceled due to bad weather we’ll either reschedule a new date, or refund your deposit. 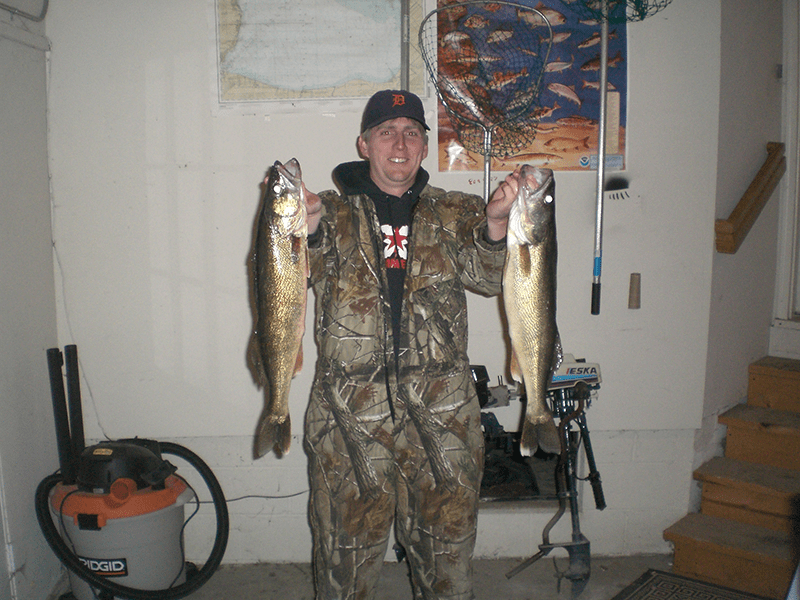 To book your Walleye Fishing trip, call Captain Kris Davis at (586) 260-0010 or email lakesidecharters1@gmail.com.